A routine medical procedure left Tatiana* with chronic pelvic pain, and after a while, she couldn’t take it anymore. Once she exhausted her other options, she started paying closer attention to what she ate. “After a months of trying various ways to eating, meal-prepping and avoiding inflammatory foods, my pelvic pain isn’t gone, but it isn’t as bad as it once was,” Tatiana tells SheKnows. And Tatiana isn’t the only one. Taking charge of what goes into your body can give you the strength and empowerment to challenge your setbacks, to rise above the pain and to attempt to own your life without the debilitation of chronic pain. What exactly is chronic pelvic pain? Chronic pain is as awful as it sounds. Essentially, it means a person constantly being in pain to the point that even simple motions — like sitting down, standing up, any sudden movement, even breathing — can be an awful ache that has no immediate relief. According to Dr. Joseph Abdelmalak, a physician at the Cleveland Clinic, 80 percent of patients with chronic pain are women. Pelvic pain can be classified in many different ways — dull and deep for some, sharp and burning for others. Some patients experience pain during a bowel movement, sexual activity or menstruation. Chronic pelvic pain is something that lasts longer than three months and interferes with daily activities and a person’s overall livelihood. Marianne* has suffered from chronic pelvic pain for several years. After a few procedures that attempted to eliminate precancerous cells on the cervix, she adopted a vegan diet. “In hopes to cease anymore inflammation, it was my last resort,” she tells SheKnows. “I didn’t want to initially change my diet, but I’m glad that I did.” After Marianne began eating differently, her inflammation in her pelvis was reduced and her pain, though still present, is now bearable, and she is able to complete ordinary tasks that were previously impossible. Pelvic pain and inflammation are inexplicably linked, though it may not always be obvious for patients or the wider public. Inflammation is a way in which the body protects itself and fights off infections. However, it typically results in some sort of pain as a way to let the person know something is wrong. The most common sources of pelvic pain stem from scar tissue from a surgery, an infection, endometriosis and interstitial cystitis. For many people suffering, medication and physical therapy are typically the recommended types of treatment. But this doesn’t work for many patients or other circumstances interfere with proper treatment, like a lack of health insurance, other medical concerns or personal reasons. However, diet and nutrition can affect progression and development of pain as well as its management. After years of begging her doctors to pay attention to her pain, Iris* was diagnosed with endometriosis earlier this year. Iris sensed that endometriosis was the culprit, but challenging her doctor to finding out the truth took a toll on her. “I almost gave up but decided I had to find an answer. This was no way to live, and I knew that other women were probably suffering the same way,” she says. Pelvic pain can also be linked to various other issues beyond what is listed here. If you have severe pain lasting longer than three months, visit a medical professional for further analysis. How can diet influence pelvic pain? It’s not surprising a healthy lifestyle can enhance and improve all areas of one’s life, and diet is no exception. But it is interesting that eating certain foods can ease inflammation while others can contribute to pelvic pain. Sometimes, medication is not enough or it’s not a treatment you are interested in seeking, especially when a simple diet adjustment can be the answer. Julieanna Hever, a registered dietitian and author of Plant-Based Nutrition (Idiot’s Guide) and The Vegiterranean Diet, tells SheKnows diet and inflammation absolutely can be connected. “Plant-based foods offer a plethora of powerful phytonutrients that act to reduce inflammation throughout the body,” she explains. 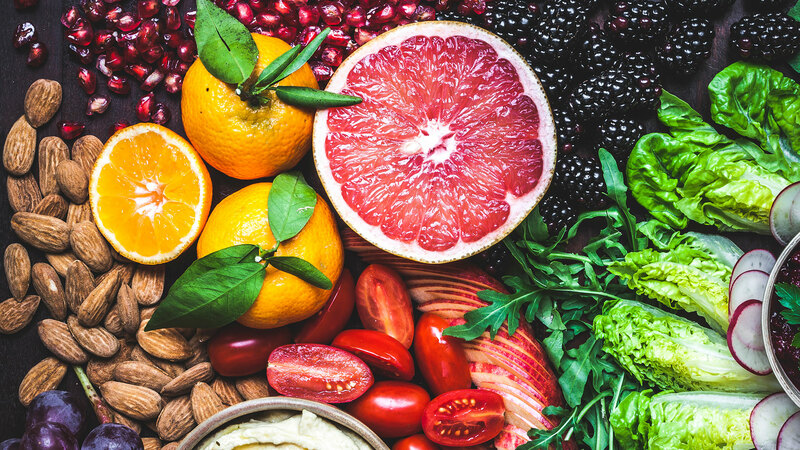 “Some of the richest sources of anti-inflammatory phytonutrients include leafy green and cruciferous vegetables, dark red/orange/yellow fruits and vegetables, berries, mushrooms, legumes, nuts, seeds herbs and spices,” she explains. Moreover, the B.C. Women’s Hospital and Health Centre suggests a multivitamin be included in the diet to make up for any necessary nutrients you aren’t getting through food. Omega-3 fatty acids are key in reducing inflammation and contribute to alleviating pain in muscles and joints. Moreover, low-glycemic foods, which contain less sugar, also help reduce chronic pelvic pain. Organic foods, vegetables, whole grains, beans, cold-water fish, leafy greens, citrus fruits, water and tea are all examples of foods that fall under an anti-inflammatory diet. Foods that contribute to pelvic pain are trans fats, red meat and gluten. Alcohol and caffeine are beverages that promote inflammation as well. Supplements have also been found to be beneficial for some people struggling with specific types of pelvic pain. For example, a 2013 study found that 43 percent of people with endometriosis noticed positive results when given vitamin E and vitamin C.
Of course, it’s important to remember that there are special considerations if you have endometriosis or bladder or bowel concerns, as you can tailor your diet even more to improve your pain. Clinical nutritionist Esosa Edosomwan, also known as Raw Girl, tells SheKnows that everyone must personalize what they eat on a case-by-case basis. As it turns out, anti-inflammatory diets tend to be pretty healthy in general, so even if it doesn’t fix your pain, at least you’ll be eating foods that can contribute to overall better health.